Over the past few months, I’ve been reading an awesome book that Gate-Walkers and Ninzuwu will find useful in their work. 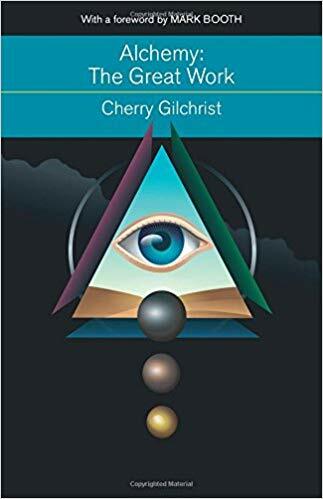 Alchemy―The Great Work: A History and Evaluation of the Western Hermetic Tradition (Mind, Body, Knowledge) by Cherry Gilchrist offers some very useful insights that prove to be an aid in cutting down the superstitions about the alchemical work. Gilchrist is able to provide a clear and concise definition of alchemy and its history, which is of vital importance for working-class ceremonial magicians, shamans, and spiritualists alike. Cherry Gilchrist makes a bold synopsis of one of the oldest sciences known to the human family. Although the theme of the work discusses alchemy from the standpoint of the Western Hermetic Tradition, the book provides sapience into Chinese alchemy as well. Overall, readers catch glimpses of alchemy’s worldview and traditions, as it is a science that has been practiced in most regions of the world since the days of remote antiquity. Alchemy-The Great Work is able to maintain its continuity by Gilchrist’s straightforward approach and knowledge on the subject. This book gives both the novice and the adept an essential understanding in the great work.